Life is a fractal. All of life is one humongous writhing fractal. We are not only “one”, as New Agers tell us, we are branches of a big tree of life that started with the first polymers. 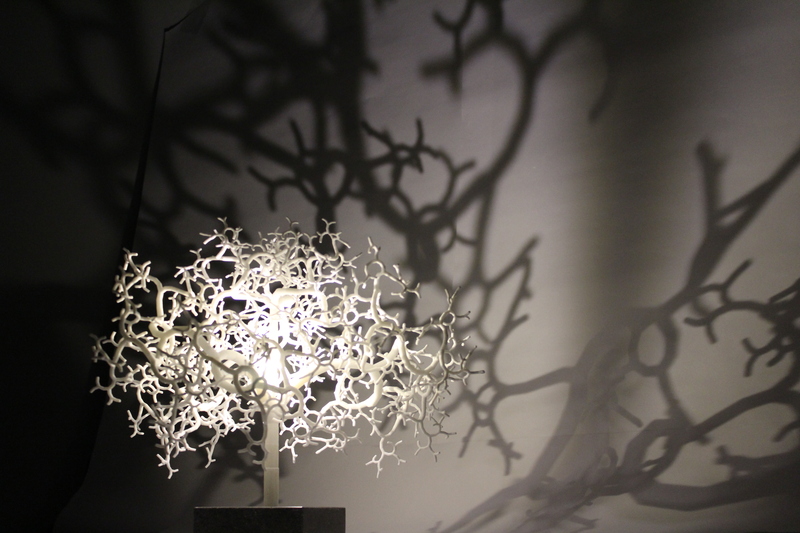 A fractal tree, a tree whose branches resemble other branches and that unfolds according to a simple principle: DNA and evolution. 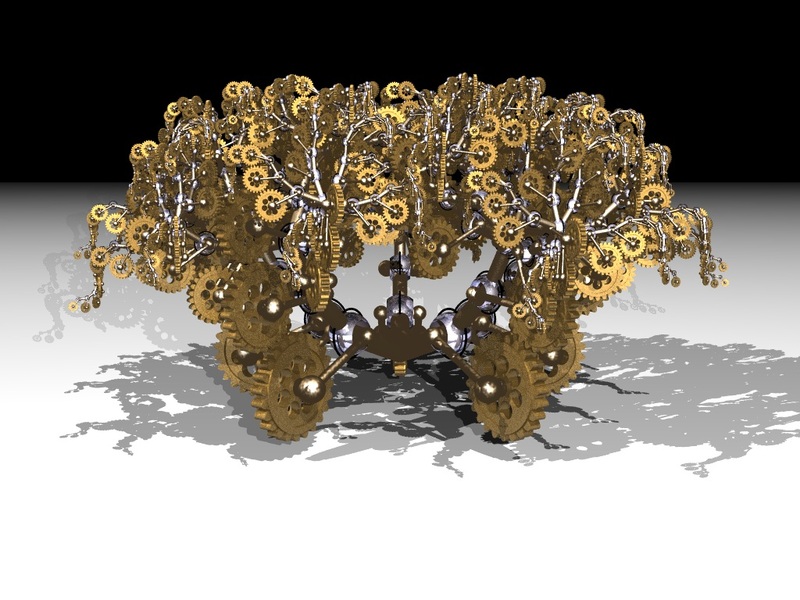 Welcome to the world of genetic fractals. We here at Genetic Fractals wonder much about that tree. How does it evolve as it does? How can an elegant orchid evolve from a string of boring atoms? How can intelligence evolve from a smelly primordial soup? In my research I have established that part of the answer is in the nature of fractals. 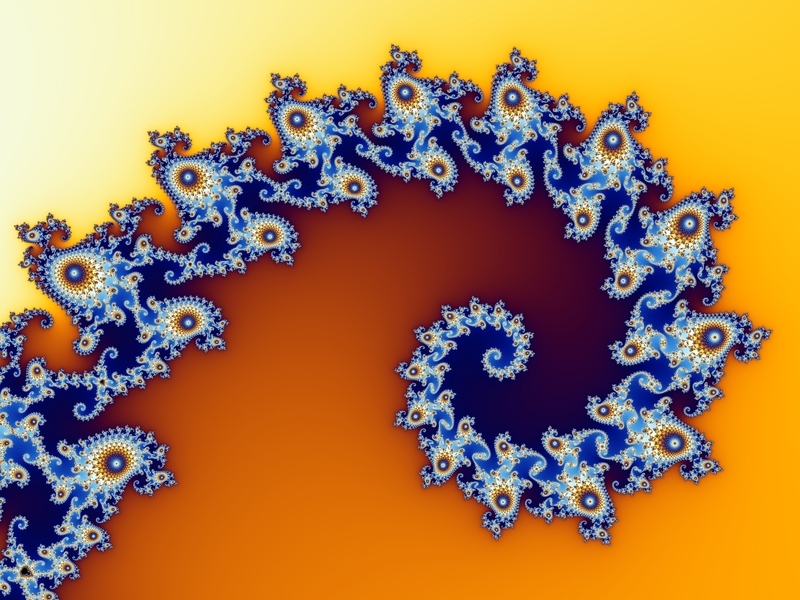 Starting with a very simple “seed”, a fractal that evolves that can be beautiful, scary, intriguing and introspectively meaningful. If you add a little bit of intelligence to that original seed, rudimentary DNA for example, then a living genetic fractal will emerge. So far this is science, not speculation. But this is only part of the answer. It is all built on a premise that we have at the very base of the tree a rudimentary seed. I know that this seed must be simple and that a high school kid should be able to grasp it. Of the same complexity as . How do I know it must be simple? Follow me in climbing down the tree of life and you will come to the same conclusion. We start with ourselves, humans. After all many humans consider themselves as the pinacle of creation. An amusing thought when you consider how trees work. Our leaf thinks that it is the pinnacle of the tree. The other leaves are poor and inferior. Look at the next tree and smile. I digress. Let’s climb down. We come from parents. They come from parents. 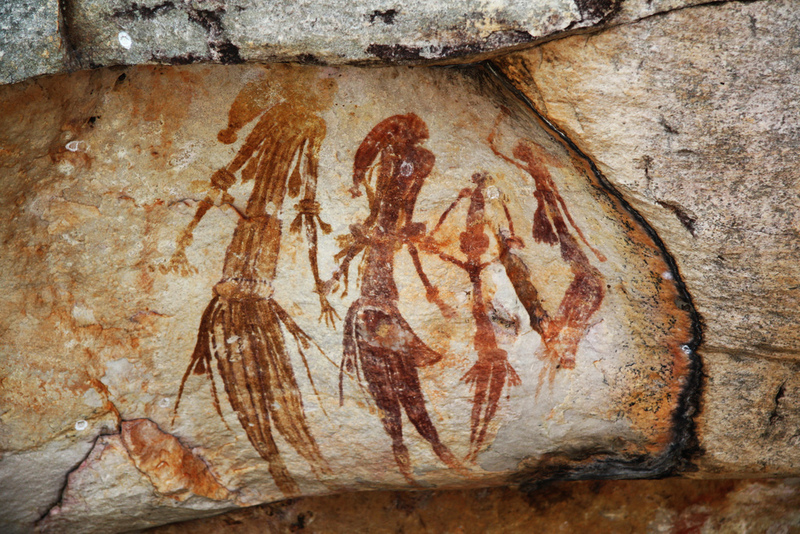 When you climb down the family tree you will meet our common ancestors. When you meet that unshaven man with a rough club, great uncle Grumf, we can safely say that he was less sophisticated than us. Uneducated and rough, his only purpose was to survive, procreate and rest. He had a friend that liked staring at stars, drew vaginas on cave walls and liked the sound of his voice. But not uncle Grumf. He was just a dude. You can trace him straight back to apes. You can still do that today. With dudes. We climb down a few more branches. Apes, hunched monkeys, four legged furry animals scurrying among the trees. You get the idea. Lizard like animals with short legs, crawling back into the sea. Fish whose tails and fins become more rudimentary. Drifting polypes. Polypes attached to rocks. Single celled life. We are still climbing down. Along the way we have lost beauty, intelligence, society. emotion and much more. Or have we? For these features to ever evolve, shouldn’t they still be in these “simple” life forms as the tiniest of traces? But we don’t stop here. The single celled life form harbors highly complex “organs” that allow it to feed and procreate. And rest perhaps. The honorable ancestor of Grumf. The proto-dude. In the real world this took a billion years but we climb from that single cell to DNA. 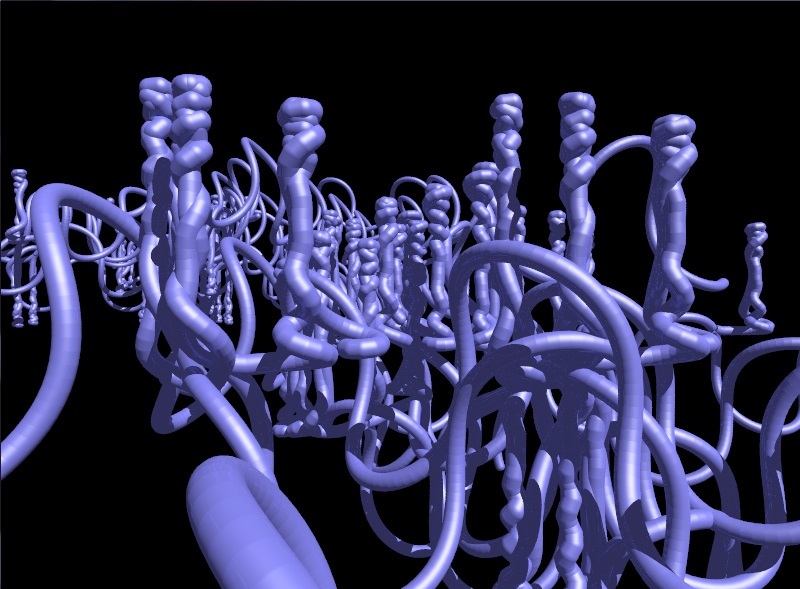 We’re now in a world of polymers, a world of incredibly complex molecules; DNA, RNA, peptides. We are still feeding, procreating and resting. And somewhere, somehow, our future intelligence and beauty is foretold. The entire history of life is written in the unfolding of these molecules. We are nearly there. We skip the hard stuff that has molecular biologists scratch their heads and we end up with a few atoms. Hydrogen, Oxygen, Carbon and Nitrogen. Our true Adam and Eve. Now if you haven’t skipped the funny parts about uncle Grumf and the dudes, you will wonder with me if these few atoms will lead the way to intelligence and beauty. I wish I could quote Sherlock Holmes and say “When you have eliminated the impossible, whatever remains, however improbable, must be the truth”. But I haven’t discarded very much here which is why this isn’t science. It is however plausible. The nature of Hydrogen, Oxygen, Carbon and Nitrogen is such that when mix them and throw electrical sparks at them, they will inevitably lead to a world with an arrogant species called humans. A few atoms are the seeds of life. Perhaps this doesn’t surprise you. Perhaps it shouldn’t. But intelligent atoms? Now we’re talking. And we’re not talking God here. At no point did an old bearded male being (God = dude?) come along and bestow us with a brain. Our sophisticated minds are a direct consequence of a few atoms in an appropriate environment. This simple logic leads to life elsewhere. Our planet is not that unique, only in the anthropomorphic minds of a few otherwise fine people. It is tempting to stop here and look at atoms with wonder and kinship. But we’re having fun so let’s not. Instead let’s disillusion ourselves immediately: there is nothing simple about a few atoms. These are not the seed of life. They are a few more dudes in the tree. I won’t spell out the tree of life of the atoms. You may know that they are made up of protons, neutrons and electrons. They are held together by electromagnetic forces, gravity and a couple of other nuclear forces. And if you dig deeper you’ll find a family of quarks, leptons and bosons. The famous Higgs boson is one of them. He is the dude that makes things have mass. And all of that is just a manner of speaking. These aren’t tiny bits of matter that you can touch. They are quantum dualities, sometimes waves of forces, sometimes tiny bits of matter. We’ll stop there. These are quantum dudes that will inevitably evolve into useless bearded men just hanging out. But where is that seed? To continue our journey along the tree we need to put our philosophical hats on and turn to cosmology. Those skies that uncle Grumf’s friend used to gaze at. 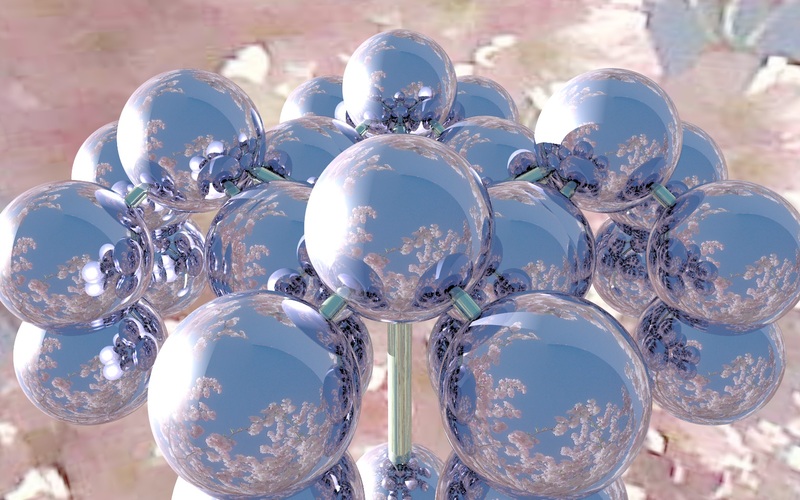 Those atoms and their ancestors, the quantum dudes, are plenty in space. They are in the stars and galaxies. They are anything and everything that the universe is made of. Let’s not mention dark matter here as it isn’t relevant yet. You probably know the story. That entire huge and amazing universe came from a Big Bang that happened some 13.7 billion years ago. A massive explosion in a quantum field that led to a massive emission of energy that cooled off and crystalized into quantum stuff and matter. This matter clustered into stars and galaxies, and the rest, is history. If we want to pursue climbing down the tree of life, we end up at the Big Bang. We are looking for the first seed of life. Is that it, a Big Bang? I am not so sure. You see, there is a philosophical problem with the Big Bang. Physicists tell us that the Big Bang was caused by a singularity. A singularity is a theoretical event that happens when a math’s calculation fails. For example, one divided by zero is a singularity. Hopefully your math’s teacher told that you that you are not allowed to do that. The solution is not defined. Singularities are where science stops. Perhaps I’m nitpicking and let’s say that the Big Bang is a singularity. One moment there is nothing and the next moment there is a Big Bang. What this says is that the origin of it all (nameless) cannot be named for if you name “it”, then you accept that “it” has an opposite, the “not it”. That would be a duality and a duality is not the root (mother) of the tree but two of its many branches (ten thousand creatures). I’m quoting this, because I couldn’t say it better. The idea that there was nothing and then there was a Big Bang starts the whole thing off with a duality. To put it differently: you can’t get something from nothing. Before we go there, let’s look at another philosophical problem. As we climbed down the tree, our intelligence and beauty reduced gradually. When we got to atoms, there was only a little of that left. Physicists refer to that as structure or information and I’m fine with that. Any structure has a degree of intelligence and beauty built in. When you keep climbing down the tree all the way to the Big Bang, you will end up with a very simple structure, but a structure all the same. At the moment of the Big Bang, structure, intelligence and beauty – or at least the ancient parents of those, sprung from nothing. Something from nothing. Of all things: intelligence from nothing. No way! I won’t let intelligent design witness the birth of the universe. That couldn’t be right! You might want to grab a cuppa Joe here because the next part risks challenging your world views. Let’s say that we didn’t know about the Big Bang. We keep climbing down the tree of life – back in time – and as we step down we lose a little bit of intelligence and beauty. Every time we lose some structure and become more and more simple. What if we lost 1% of such faculties every 100’000 years, starting from a human = 100? Than after 100 Billion years, we’d have 1E-4365 intelligence left. That’s 4365 zeros followed by a one. We could go a lot further. We could go back 1000 Billion years and we’d have 10 times as many zeros followed by a one. Do you see where this is going? No matter how far we go back we’d never have zero intelligence or zero structure. To put this differently: there was never nothing. Life, the universe and everything are infinitely old. In a strange way, this solves the something from nothing conundrum. Mathematically, if you would go infinitely far back in time, you’d end up with zero structure. Nothing. But you’ll never get there, because this too is a singularity, and a plausible one. This doesn’t get in the way of a Big Bang 13.7 billion years ago. I can see two scenarios. Either it was “simply” a meaningful event in the infinitely long history of the universe, or, we can squeeze infinite time within the early universe, i.e. time compresses the closer you get to that event. This would mean that time never started, I was already infinitely long in the first instant. Earthly time vs cosmic time. In both cases however, there was no first instant. Nothing ever started, it was always there. This is hard to comprehend: an infinite past and by similar arguments, an infinite future. As incomprehensible as this is, I find it more palatable than the alternative: a start and an end. The whole point of climbing down the tree of life was to find out where it all started; to find the seed of life. After all that climbing I reach an infinitely old universe and I can go back as far as I want and I will never find the seed of it all – for there is no beginning. So I have failed, right? And I even had you believe for a few paragraphs that I had a simple answer. Mea Culpa. But I am in good company. 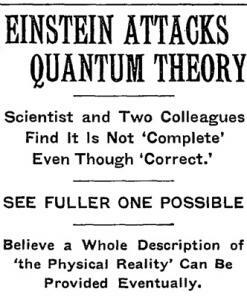 Einstein was convinced that there is a Theory Of Everything out there. An elegant unifying theory. I used to agree. I want to agree! But if there is a Theory Of Everything, it cannot be a theory of the start of the universe or a theory based on a seed. Instead the best hope for finding this, in my truly humble opinion is in the process of climbing down the tree. In the changes that occur from a branch to its parent. If we can find how complexity simplifies when we reverse time then all we have to do is repeat this ad infinitum and we shall know it all. A Theory Of Everything may well be impossible, but the search for it is not futile. It has tremendous spin-offs and in the end, this is all about finding out who we are. Who I am. The oldest question, the oldest quest. I cannot begin to express how much i enjoyed this. Applause. This is brilliant. I tend to agree with you, too. It’s the Achilles and the turtle problem, isn’t it? He will never, ever catch the turtle. Have you seen the film, Her? This very concept is articulated beautifully right at the end in the guise of words spread out so far between each other that the story never ends. Of course, if the theist does posit that the universe had a beginning, and that beginning required “their” god then they are ignoring the fact that their god comes from darkness, and is therefore probably evil. Thanks John. If you were pretty, I would blush. I can’t decide whether i am disappointed that I shall never find the origin or life, or whether I’m relieved that no one will and that I can chill with a beer instead. “She” has been on my reading list for a long time. Supposedly in the top 10 most read English book ever, sadly after Harry Potter! I agree that the turtle stack (the other turtle) is food for theists. They must love the Big Bang; it is the ultimate creation myth if you believe it happened “just like that” as Tommy Cooper said. I have little doubt that God is that-which-we-don’t-understand-yet-and-prefer-to-ascribe-to-a-bearded-dude-so-we-can-sit-back-and-relax. A god of ignorance and historically evil. You never know, Scott Adams might be right and we’re all parts of God’s Debris, so there might be some pantheistic answer awaiting us. Just kidding.You’re as pretty as God makes’m. Before the Big Bang was inflation, and currently the most fashionable theory of inflation is eternal inflation. Thanks Steve, that makes me a fashion victim 🙂 I tried to establish what the current thinking is on this and found it inconclusive. Hawking seems to think that time is eternal but it was in a different direction before inflation. A couple of physicists (Ahmed Faraq Ali and Saurya Das) just published a paper last month that the universe is infinitely old. Other physicists insist that the Big Bang followed a quantum fluctuation in a quantum field. This is the sort of question that is hard to devise an experiment for or find evidence otherwise though I’m sure we will find indirect evidence that will take us down a next level. Very fascinating stuff! If I may toss my two cents into the fray – this is one of your best posts, articulately putting words to streams of hamster wheel logic plaguing my mind. One of our greatest handicaps has been God. We’re finally on the cusp of pure science, unfettered by Godly tinges. Clear distractions of religious white noise – all too often, the answers sat right in front of our faces. White noise indeed. If we could all park God for a while we might just crack the conundrum of it all. Very compelling – and beautifully written! Great post!! But it reminds me of how much I don’t know about leading edge research in cosmology and quantum gravity etc. I don’t have an educated opinion here – just one thought: I think your going in back in time in reaching simpler and simpler structures should be correlated with an increase in entropy? 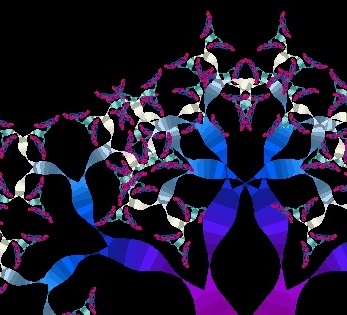 It is tempting to think there must be some rather simple connection – perhaps much simper than trying to match your fractals onto all that complexity expressed in (mathematically ugly) quantum field theory. Thanks Elkement! Your message reminds me that I don’t have a theory about the evolution of the universe, but a philosophical constraint, a boundary condition: something from nothing cannot be discontinuous. Would a universe that is infinitely old have a high or even infinite entropy? That would suggest a big mess. As we approach the ‘nothing’ from ‘something’ going back in time, complexity reduces to simplicity. Does that imply higher order? I’m not sure if simplicity/complexity are related to order/disorder. In a fractal universe in absence of thermodynamics, we would see high complexity and low (and constant) entropy. But energy must drive the growth of the fractal system and introduce the increase in entropy. So… an infinitely long time ago the universe was infinitely simple with infinitely low entropy. I imagine something close to a zero dimensional, zero order function comes to mind.